Downloading apps from the official app stores is always the best way to go about the ordeal. Users can generally rest assured that the software has been checked for any malicious content and is safe for their devices. On the flip side, downloading apps from 3rd party sources is always considered much riskier. However, there are those rare moments, when a malware makes it to an official store, riding on the back of seemingly innocent apps and games. This is the case here, as a new type of malicious software, dubbed DressCode, has reportedly been discovered on the Google Play Store. The find has been posted by IT security company Check Point, who claims that there is a total of 40 apps on the Play Store infected by DressCode, the earliest one dating from April of 2016, and 400 more spread across unofficial app stores. What this specific type of malware does is, it creates a so-called botnet. The attackers are able to use infected devices to route traffic through them. In the case of DressCode, Check Point says, the hackers only used it to generate false ad clicks and traffic, thus collecting ad revenue. However, a botnet can be used for much more serious attacks, such as gaining access to company servers and files, if you happen to be working in a BYOD office. 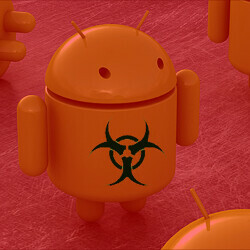 Google has been informed of the infected apps and will most probably be removing them swiftly. A few of them have been posted in the Check Point article, and it seems like the malware is generally embedded in “Dress-up” kids games — that's probably the source of the hack's name. But here's a reminder to always be careful what you download on a device you use for sensitive work. The Check Point video below explains how a botnet type of attack can be a huge problem for corporate users. Of course, even if the infected devices are only used for ad traffic, you still have the issue with rogue processes running in the background, impacting performance and battery life. This is definitely not cool. Google should be making a strict app approval system, and remove abandoned apps just like what Apple is about to do. I simply install on all my clients phone bitdefender antivirus. its has a detection rate of 100% of all the malware thats was put in the media and also can block apps thats do strange thing like this one do by heuristic scan. Apple app store has no antivirus so if there is a malware thats infiltrate the app store ( wich can happen but rarely ) you have nothing but a false sense of security to help you. no antivirus can scan future and unknown exploits. If they could, google would buy them up as quickly as they could and implement it immediately into their OS and claim the OS as the most secure on the market....there is a reason they don't. Also good ones wait for reboots, will force safe mode and disable antivirus all together. And it was promptly taken down unlike with Google where it's there still until acknowledged. some malware and security hole existed in apple product for years before been patched. You only ear about those when they are patched. nice false sense of security. At least on android i can install Bitdefender and be fully protected at all time whitout any false sense of security. Google will fix it with a play service update... It's not a big deal! Thanks for the head up. That's one of the reason why companies uses RDP to access internal resources. Using a RDP is really does not matter whether my thin client is Windows or Android App. The things that matter is screen size, that all!! I run AVG anti-virus on my Android devices and today it cornered the SkyGo and Uber apps as having malicious adware/malware and urging me to delete them. Which I did. I also took a screenshot and have asked Sky UK and Uber UK to explain this on Twitter. I'd be very surprised if they respond. But I had to bring it to their attention. AVG not bad but use bitdefender its even better.